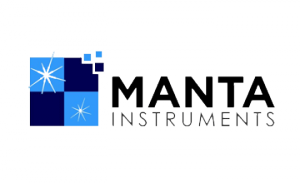 MANTA Instruments Inc. (MANTA) is producing scientific instruments that use breakthrough technology to characterize nanoparticles much more effectively than existing products. The Company sells these instruments directly to customers that use nanoparticles in their products or services. Existing instruments for characterizing nanoparticles are unable to: i) adequately measure concentration of nanoparticles, ii) measure samples with mixed nanoparticle sizes, and iii) reliably measure changes in nanoparticle size over time. MANTA satisfies these unmet needs!